Last week Madison Bumgarner journeyed to Arizona with his sights on his lifelong dream: jumping the Grand Canyon with his dirt bike. While he was in the area, MadBum decided to drop in at Chase Field to toss 5 innings of shaky one run ball against old man Zach Greinke. Both of these vets flashed nice wood in this outing. Not that kind of wood! I’m talking about wood baseball bats, they each flashed the lumber, driving in one run off their counterpart. B_Don and Donkey tell you everything you ... See More need to know about this intriguing pitching matchup, including what to expect from each of these aging aces for the rest of this season and beyond. Your handsome hosts also profile the rapidly rising star Eugenio Suarez in this episode. Spoiler alert Donkey has a very lofty (and crazy) Eugenio Suarez comp. Lastly, listen in to find out which waiver wire targets might lead you to fantasy baseball fame and fortune down the stretch. 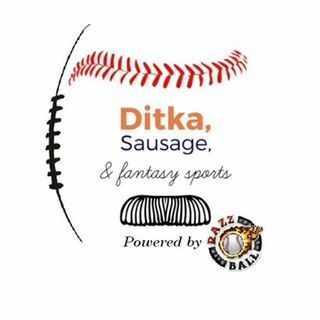 Experience this week’s Ditka, Sausage Pod here.